Johnny Preston's recording career reflects the ability of a talented artist to produce memorable music despite the classic pitfalls of major label affiliation, in a system that still often seems designed as much to obscure any individuality as to produce hit records. Preston was a smooth, strong voiced, young singer with a lot of potential but largely local status when a song decidedly different from most of the material he was performing in a Texas Coast R&B band took him to the top of the charts in the winter of 1959/60 and landed him a deal with Mercury Records. The song was the novelty Running Bear, written by another Texas Gulf Coaster, J.P. Richardson, better known as the Big Bopper (who was dead before the song was ever released). Preston, under the aegis of the Bopper's manager-producer Bill Hall, followed that Texas-produced hit with a steady flow of assembly-line, Nashville-made recordings that yielded a couple more hits but increasingly sacrificed the singer's chances of building any momentum to saccharin, indistinct production. 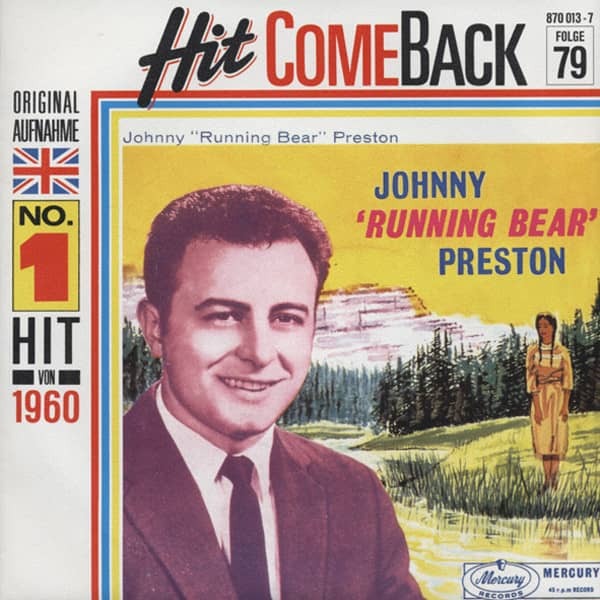 In 1989, Bear Family released a collection of Preston's Mercury years (1958-62), centered around Preston's signature tune Running Bear. Both it and My Heart Knows, its sessionmate from Preston's late 1958 date at Houston's Gold Star Studio were mono recordings, but the sessions that followed in Nashville and New York in 1960 and beyond yielded both mono and stereo masters. Bear Family's 1989 reissue featured only mono versions, but ‘Charming Billy’ makes use of stereo tapes unavailable at that time. In addition to newly remastered stereo versions of many of the songs that were featured on ‘Running Bear’, this new collection features a number of sides not previously reissued and several not issued in any form until now. In addition to the title tune, over thirty sides are included, from rock ‘n’ roll and rhythm and blues sides like an early cover of The Twist, Leave My Kitten Alone and Feel So Good, to underappreciated ballads like the classics Dream and Danny Boy. The Texas Gulf Coast's Golden Triangle -- Beaumont-Port Arthur and Orange -- where John Preston Courville was born, in Port Arthur, on August 18, 1939 has long been a musically rich area, heavily influenced by a large Cajun population that gradually eased over into southeast Texas from Louisiana and swelled even further when the shipyards opened up during World War Two. The area also had a large black population and an active blues scene, and the country music that thrived in the area was heavily blues influenced. From the late 1930s to the late 1940s, the area was an especially fertile one for western swing and boasted some of the music's classic bands, particularly Cliff Bruner and Moon Mullican's various lineups. Cajun swing fiddle legend Harry Choates came of age in Port Arthur during the 1930s, George Jones came from nearby and got his start in area clubs, and rock legend Janis Joplin was born there in 1943. Although this musically fertile ground affected Johnny Preston in subtle ways, he didn't grow up immersed in it. His family, particularly on his mother's side, was musical, but in a far different environment than that which produced Choates, Jones and others. Cousin Bryan Schexmaiter is a Metropolitan Opera singer and Preston grew up singing in his Catholic Church choir and in school glee clubs. Never really into the area's country music scene, the teenaged Preston also responded less to the white rock and rollers that emerged in the mid fifties than to their black precursors and contemporaries. "We were listening to a lot of what we call R&B. Basically, when rock came along, most of the acts we listened to down here were all black, like Clyde McPhatter, Ray Charles." Preston entered what is now Lamar University in Beaumont after high school graduation, where he and some friends he "met up with from outlying towns around Port Arthur, like Nederland and Port Neches," formed the Shades. Preston sang ("I played a little piano, but they wouldn't let me play it on stage," he laughs); Johnny Wilson played rhythm guitar; Butch Crouch played lead, Dale Gothia, sax; Larry Barbin, bass; and Mike Akin, drums. Similar to other like-minded white bands along the Gulf Coast that sprang up during these years, like the Boogie Kings, the Shades were far more a R&B band than a rock and roll group. "R&B was about all we played," Preston told Colin Escott. "No country and no teenybopper music at all." His singing was, as Escott puts it, "shaded toward the smoother side of black music. ‘My vocal style in those days reflected a little bit of Jackie Wilson, Al Hibbler and Roy Hamilton. I guess they were my favorites.'" The Shades soon evolved into a full time commitment and what would turn out to be an unlikely break came during 1958, when local deejay-songwriter J.P. Richardson, just then hitting stride masquerading as the Big Bopper and his manager Bill Hall came into a club the band was playing one night. "We were playing six nights a week at about three or four different clubs," Preston recalls. "On a particular Saturday night, I didn't know that Bill Hall and J.P. Richardson -- the Big Bopper -- were in the audience. They had come to listen to us and didn't tell anybody. I guess if we weren't any good, they wouldn't come back to see us. It was at the Twilight Club in Port Neches. That's when we got acquainted and I started going up to the radio station." Richardson and Hall wanted to record Preston, but he was surprised by the song that they were keen on him cutting, a novelty Richardson had written called Running Bear that was cute and catchy but a far cry from the material Preston was singing with the Shades. 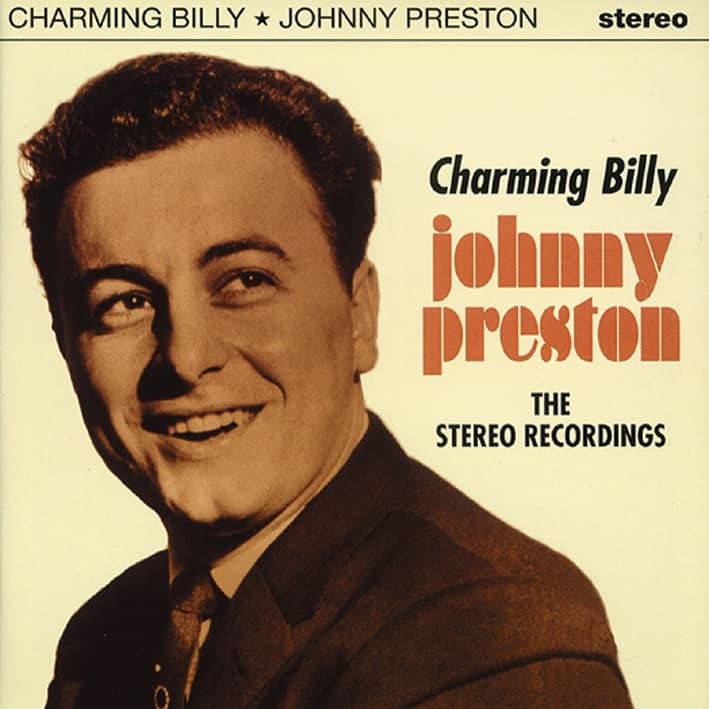 Preston admits that he "didn't much care for it, really, " but he agreed to record the song, as well as My Heart Knows, a ballad co-written with Richardson. He explained to Colin Escott, "I went ahead and did it anyway, though, because I thought we could book the band for more money if we had a record out." In late 1958, Preston, Richardson and Hall traveled to Bill Quinn's Gold Star Studio in Houston, where Pappy Daily had been cutting most Starday,’D' and, then, affiliated Mercury sessions, including George Jones' sessions and Richardson's Big Bopper sides. Jones was also present this day, as was Quinn's house band, a versatile group of musicians who had mostly cut their teeth on western swing but could render rock ‘n’ roll and R&B far more convincingly than many of their studio counterparts on the coasts and in Nashville. The band included Link Davis on tenor sax, Hal Harris on electric guitar, Doc Lewis on piano, Buck Henson on bass, and Bill Kimbrough on drums; Hall, Jones and Richardson provided the background chants on Running Bear. Richardson died soon after Running Bear was cut, in the same Iowa plane wreck that killed Buddy Holly and Ritchie Valens, and it was unclear for a time whether the song would get released at all. It caught the ear of Mercury's Art Talmadge, with whom Hall had a production-release agreement (that also involved Hall's other Gulf Coast talents, like Benny Barnes, Jivin' Gene and Rod Bernard). Mercury released Running Bear b/w My Heart Knows on Mercury single 71474 in the summer of 1959. It looked like only a minor hit, but broke widely in December of that year, hitting number one and remaining in the Top 40 for fourteen weeks. Preston, who had begun touring with the Shades following the record's release, was rather suddenly a star, competing, as Colin Escott puts it, "with the teen stars flooding out of Philly and New York." The watered-down, quasi-rock ‘n’ rollers from the Northeast reflected as much as they affected the larger scene; the hard-edged rock ‘n’ roll, from both black and white artists, of a couple of years earlier was out of favor. Hall and Mercury began packaging Preston very much in this same mold, as a pop singer with rock and R&B overtones, rather than the other way around -- a subtle difference but one which would arguably have more accurately reflected the singer's real strengths. Customer evaluation for "Running Bear - My Heart Knows 7inch, 45rpm, PS"